TWA Flight 800 pictures are stock photography in high definition of the Boeing 747 that later crashed as TWA Flight 800. 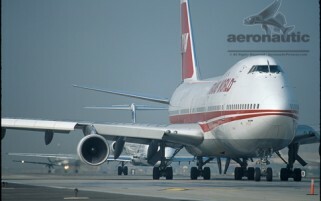 It was a Boeing 747-100. You can clearly see that this is the correct plane by looking for the “N” number of N93119 on the rear side of the aircraft in the views that show that portion of the plane.